3-2-1…here we go! Are you ready for the most exciting time of the whole year? 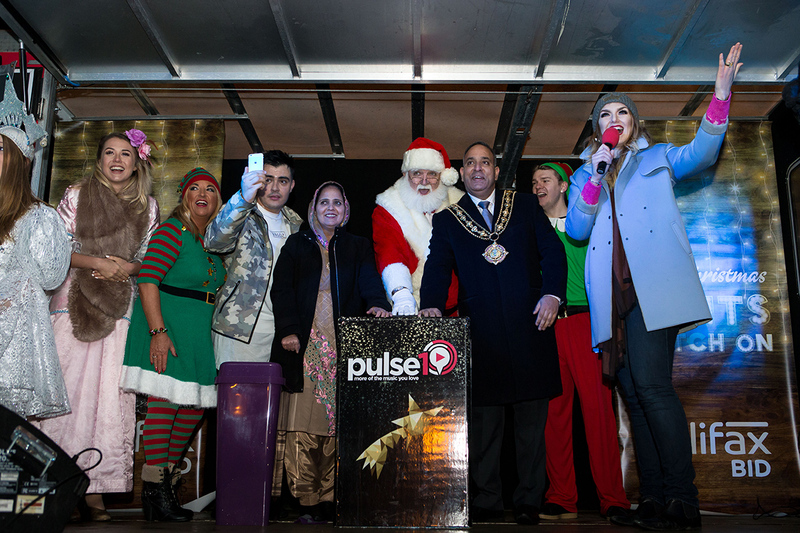 We have all sorts of fun and games planned for the Christmas Lights Switch On, and we know you will love it! Come and meet Santa himself, or watch jugglers and stilt walkers performing their amazing tricks. Look out for some faces you know from the Christmas panto, and don’t forget to shout and cheer – you might be on the radio! You can help us get into the Guinness Book of World Records too, by dressing as a snowman. Don’t worry; we can help with your costume if you don’t have your own. Remember, our Christmas lights will be bigger and better than ever this year. We’ve even created a magical Ceiling of Lights, high above your head in Princess Street. Oh, and one more thing…make sure you save some energy for our awesome grand finale! For the end of the show there will be fabulous fireworks to see and hear, with booms and bangs and whistles and sparkles, meaning Christmas is definitely near! When: November 24th. Events from 2pm onwards, with live entertainment on the main stage from 3pm. Lights switch-on at 4:30pm, with fireworks afterwards.